Pre-Book Free JioPhone to starts at the end of August according to the announcement by the chairperson of Reliance Jio. In the same, the mobile phones will be available to all the customers who will come first in September of this year. As company said in their 40th Reliance Industries Annual General Meeting, the JioPhone will be given on a first-come-first-serve basis. The booking will starts from August 24th Thursday. While the company has already started their beta testing with the new low-cost 4G feature JioPhone. Also, Mukesh Ambani said that the phone will reach the public effectively free under the condition of refundable deposit of Rs. 1500. Because of the Reliance Jio’s new launch, it is expected that other leading telecom operator may come up with other 4G phones as soon as a competitor against JioPhone. According to the latest update, Jio customers care executive told that the people can register their interest to purchase JioPhone via SMS from their existed mobile numbers. Type as JP<>your area PIN code<>Jio Store code near your locality. (Get nearest Jio store code by visiting to that store). Send this message (SMS) to 7021170211. Also by using official portal of Jio, the customers who having interest on JioPhone can register their interest online. In the homepage of the Jio official website, click on Keep me posted link. A new page will appear under the headline of Register Interest. Need to fill all the details such as First name, Last name, Email, Phone number, PIN code. 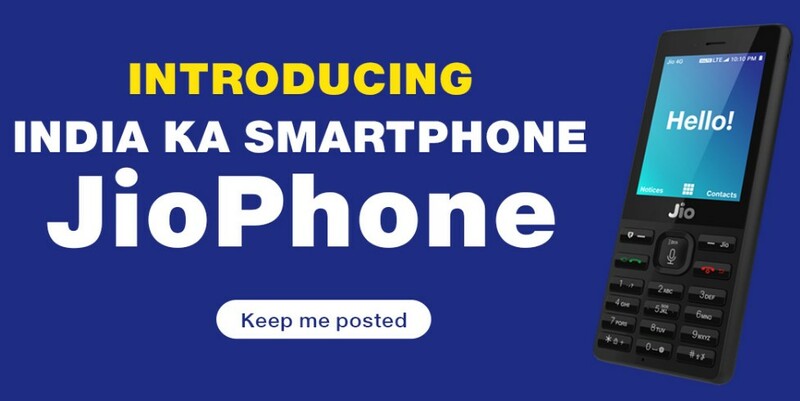 This registration process is not only for the purpose of purchasing JioPhone. The company will keep you updating about the development on their new 4G featured JioPhone. By using this JioPhone, customers can get unlimited voice calls to all mobile networks in the country. Also they providing free data and SMS services to all the users under the price tag of Rs.153.